This amazing collection of professional audio tools is a must have for every audio professional, home theater enthusiast, recording engineer, concert goer, and anyone else who needs a fast and easy way to measure the sound levels around them, keep rhythm or tempo, turn their iOS device into a microphone, generate test tones, calculate recording times, or quickly find the definitions of commonly used audio terms. "At only $1.99, it is possibly the best deal available in the world of pro audio gearâ€¦ This iPhone essential for engineers, producers and musicians, will justify the price in a single use." Audio Tool currently includes these 6 great tools for your everyday audio needs: Decibel Meter Pro, Microphone Pro, Bit Calc Pro and Audio Atlas! 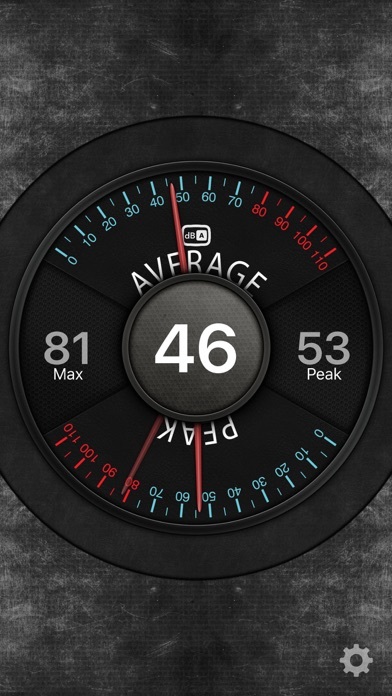 Tempo Pro turns your iOS device into an amazing metronome! Tempo Pro is so fun to use, you will be creating custom beats, tempos and rhythms for hours! You can have anywhere from 1/4 to 12/8 time, and it's so easy and fun to adjust with our custom beats fader! Tempo Pro has vibrate, and camera flash options on supported devices! Start Tempo Pro and put it in your pocket or at the edge of your vision for a great silent metronome! Microphone Pro turns your iOS device into a microphone with a multi-function on/off button and volume control, making it great for use as a talk-back mic in live and recording applications, karaoke, public address, or anywhere you need an easy-to-use microphone. Scope Pro is an Oscilloscope that lets you see the sounds around you! Scope Pro takes the audio signals from your built-in microphone and draws them to your screen! Tone Generator Pro automagically creates perfect Sine Waves, Square Waves, Triangle Waves, Sawtooth Waves, Reverse Sawtooth Waves, White Noise and Pink Noise! Got a recording session tonight? Got enough drive space? Find out now! Our fun and quick interface places the information you need most, right at your fingertips. You can set your own defaults, input in any direction, flip your phone upside down, and wow your friends with Bit Calc Pro! What did he just call you? Never look like a fool in the presence of an audio pro again! Our Audio Atlas can supply you with the definitions you need right now. Download Audio Tool and watch your brain grow! Try Audio Tool, you'll love it!